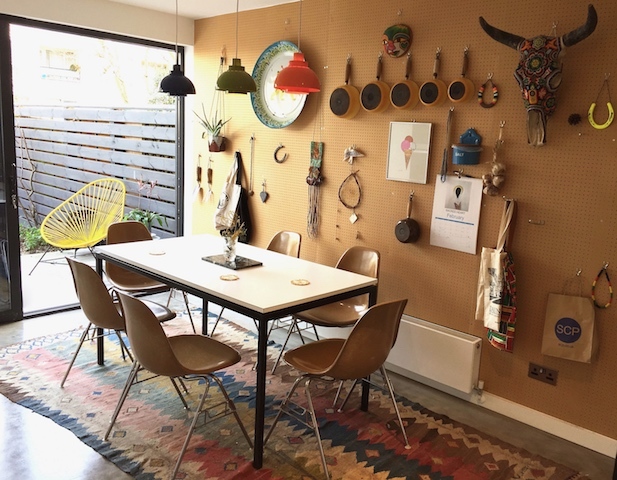 This 1970’s 3-storey house was completely gutted, reconfigured and refurbished to bring out its features in a sympathetic style, whilst adding new decor to suit my clients eclectic tastes. Walls were knocked out to open up the space and create more light and new birch-ply storage designed for practical needs. A concrete floor was chosen for the ground floor, whilst the 2 upper floors were designed with industrial parquet flooring throughout. The staircase was exposed and brought back to its original wood, adding a contrasting feature army green paint colour on the underside. A large open plan kitchen and dining room were designed with new sliding doors for light and a view into the garden.